The counter trey is a running play that perfectly combines deception and physicality. 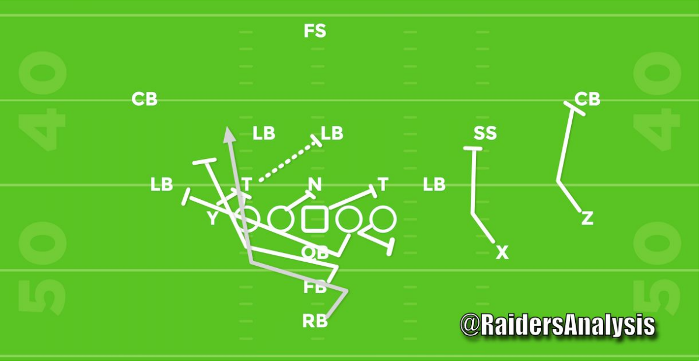 The down blocks on the playside move downhill and hit hard, while a fake in the backfield freezes the defense enough to allow two pulling linemen to charge the playside to wipe out the defensive front for the runner. Nearly every team runs some variation of the counter trey. Whether they run it under center or from the shotgun, the type of window dressing or option added is determined by the personnel and personality of the team. 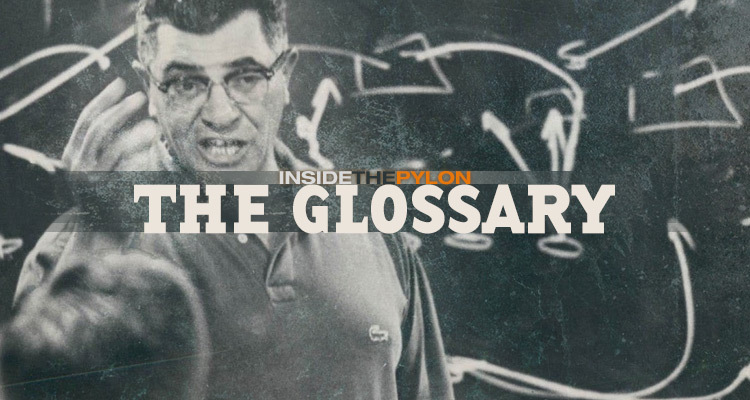 The play was popularized by Joe Gibbs and his Washington teams of the 1980s, but since then the play has evolved and been weaponized in high-octane spread offenses. The offensive linemen on the frontside down block to create a wall, while two blockers from the backside pull to the frontside. The backside guard always pulls and is responsible for kicking out the playside contain player, while either the backside tackle or a back will pull and then the running back lead into the hole. 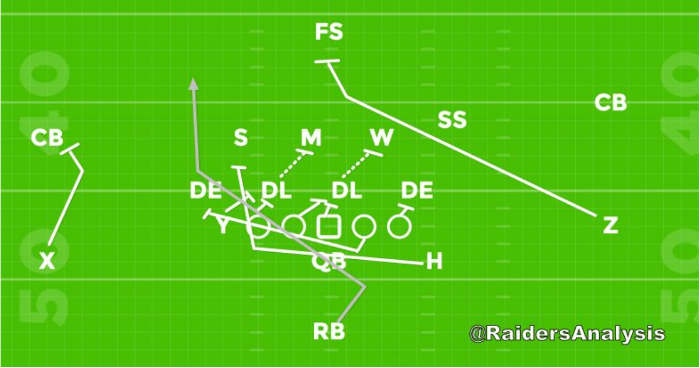 The down blocks on the frontside usually include double-team blocks known as Ace (center + guard), Deuce (guard + tackle), or Trey (tackle + tight end). It is imperative that the frontside downblocks get movement or the path of the pullers from the backside will get disrupted. Defenses can stop the play by reading their keys. For example, if the backside linebacker, sees the guard pull, he might be able to blow the play up by attacking downhill to the mesh point. Defensive coaches can have their contain players “spill the play” by attacking the inside shoulder of the pulling guard that’s trying to kick them out. By doing so, they would force the running back wide and allow other defenders to rally and make the tackle. Ted Nguyen wrote this entry. 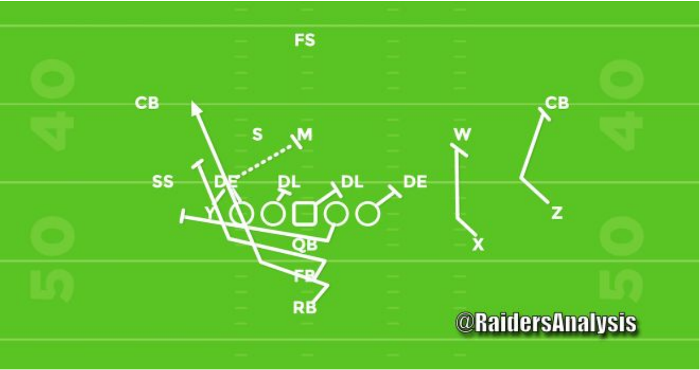 Follow Ted on Twitter @RaidersAnalysis.